TechMesto is offering bootloader unlock keys for Nokia smartphones. You can buy the bootloader unlock key from us to unlock Nokia phones which use a Qualcomm Snapdragon chipset. Do note that unlocking the bootloader may void the warranty of your Nokia phone. Also, all data on the device will be wiped. With that out, here are the important details about the bootloader unlock key request service. Price: The price of Nokia bootloader unlock key is $5 per request. Supported devices: Nokia 2, Nokia 5, Nokia 6, Nokia 6.1, Nokia 7, Nokia 7 plus & Nokia X6. 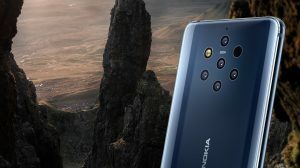 To unlock Nokia 8 Sirocco and Nokia 7.1, go here. To unlock Nokia 2V or bootloader unlock after August 2018 security update, go here. Nokia 8 (2017) has official bootloader unlock, refer to this post. Please use your actively used email address to order the service. We will send the unlock key to the email address only. Your Email* Unlock file will be delivered here. NOTE: If you have updated the phone to newer version, then order the downgrade service. You will be redirected to PayPal when you submit the form above. Please complete the payment of $5 to complete the transaction. For users from India: Since PayPal doesn’t properly operate in India, we will be able to accept payments via UPI/IMPS. The price will be ₹300 per request. Please contact us for details. For users from Mainland China: If you cannot use PayPal, then you can order on Taobao or this website. After an unlock key is generated for your device, please follow this guide to unlock your device. In case you encounter any issues during the unlock procedure, then feel free to get in touch with us. We will guide you properly to finish the unlock. Please note that we are not providing help in rooting your device post unlock. Buy Bootloader unlock key for Nokia Android smartphones (Qualcomm) Overall rating: 4.9 out of 5 based on 101 reviews. What about MediaTek based Nokia phones? Can the bootloader be unlocked on those? I have a Nokia 5.1(2018) phone which I’d like to unlock and root. Hi, you need to buy the downgrade + unlock service. We need to downgrade the bootloader before unlocking it. Hi. Yesterday I have ordered the key. Nothing arrived so far on my email. Can you assist? Thanks. Hei, i intrested with UL bootloader for my 6.1 plus region ID here. But only one question, my 6.1 plus already have feb security patch, any method to backup my phone first so when downgrade im not losing any data? Hello, I have a Nokia 2. Can I unlock the bootloader with the purchase of this code? The method is still valid? I made $ 5 payment without seeing that for the patches after August is another form can you help me? hi, I already paid for a unlock code a few months ago, but accidentally deleted the email, I can get it again? thanks. I’m not sure if you can help, but i have i think sept security patch on nokia 8, but 2 days ago, android pie tried to push update and after reboot it is bricked and stuck at android logo. i can get it to download mode but it says cannot flash anything because bootloader all locked… and cannot use official method because.. device bricked. can you help with this? Hello, it must be December since you received the Android Pie update. Can’t unlock on that. I can flash the phone with an older version which will make the phone work. Then you can also unlock the bootloader (if still needed). Thankfully, my 6.1 plus phone was unlocked today. I sincerely thank the person who helped kindly. Now you can prepare Volte services. Can you tell me what is your version of the phone? and what version of android? TA 10-??? I want to unlock my nokia 8 bootloader, I can’t get the code by oficial way because only support devices with the newest security patch, in my case, i dont receive any update since June and thats why i need to unlock bootloader and then install updates manually, Could you help me? will there be support in the future 7.1? My Nokia 7 somehow got bricked and I have no ability to get SN from the phone. How can I get it in some other way? You can find the device serial number via fastboot (download mode). Simply send “fastboot devices” command and the result will have your serial number mentioned. I sm in India and want to unlock my bootloader. Help me with payment as paypal isn’t working properly. It’s really hard to mention without knowing which security patch the device is running. That said, your device can most likely be fixed. I will send you an email regarding this. I have Nokia 7 Plus. I have updated my phone to Android P, then downgraded to Oreo using the flash file from Nokia Developer website (B2N-213B-0-00WW-B05-update.zip). After wiping the data/factory partition phone starts normally and let me choose the language etc. The problem is system forces me to update the phone immediately, I cannot skip it in any way. It just says: “Your phone needs to download an update and restart. size: 1471,3 MB. / This update may take several minutes to download and install. Afterwards, your device will automatically restart”. I’m afraid it’s going to update to Android P again. I have managed to downgrade to April package using the first file from xda developers site (https://forum.xda-developers.com/nokia-7-plus/development/ota-nokia-7-plus-ota-links-t3818774). However, it is still the same. There is no way to skip the update. If you are looking to unlock the bootloader, then you can simply turn off the phone and use the unlock key. Since the system is currently downgraded, it will accept the Key. The setting from “Developer Options” is not important. If you are unhappy with Pie and want to use Oreo, then maybe you can try using Mobile Data while setting up the phone. Ideally no phone should force update on a mobile data connection, but I am not fully sure on this one. I have Nokia 7 Plus with June update. I want to unlock the bootloader, but also update to Android pie after. Can I root the phone after all this? Yes, you can unlock the bootloader and then upgrade to Android Pie. You can root Pie but there are reports that the Pie loses the gesture navigation when Magisk is installed (or in other words, when it is rooted). I have no reason as to why that happens. For some users, gestures come back after a few days, others never get it back till it remains rooted. i use nokia x6 with September Update Patch. can i open the bootloader??? Dear Lê Hòa, the September patch cannot be unlocked anymore. Dear Arafat, we’d surely like to fulfill orders from Bangladesh, but there’s no way for us to draw payments from your country. bKash is a service available for residents of Bangladesh, but not for non-residents (like us). International payment processors (example Stripe) is not available currently in India. We’re open to any suggestions you may have. Hi, I’m from Bangladesh and and I’m interested to unlock the bootloader. But PayPal isn’t currently available here in Bd. bKash is a popular mobile banking service here. Can you add a payment method for people from Bangladesh? I can’t submit the form, it’s requiring “security-patch” input field which is not available. Do you unlock Nokia 7 ? Yes, it can be unlocked if you have not installed the August or September update. Sorry for the delay, Ian. Your order is now complete 🙂 I hope everything will go great! Do you want to buy a large amount of money to reduce it? 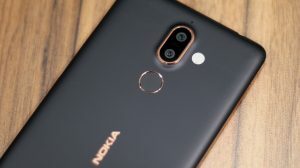 Hey brother, i’ll receiving my nokia 6.1 plus today and hopefully with july security patch so i was thinking of unlocking BL before updating to August security patch. So what do i need to do to buy your unlock file and it’ll work right? Oh and forgot to mention i am from India so do tell me the procedure and payment method. Regards. Hello Max, since the Nokia 8 uses A/B partition, you can still manage to boot to the non-active partition and you will be taken to the July update. There you can flash the unlock file and gain unlocked bootloader. In case your both partitions are updated to August, then it is pretty hard. Please check XDA if somebody is maintaining monthly OTAs. You can flash one of them to downgrade to July and gain unlocking ability. Could you please explain the instruction in correct order, now I have the security update for july, how to boot to inactive partition? how to flash the security update? Please help, I am in desperate need of unlocked bootloader as my all backups done by Titanium backup and I need root access in order to restore them. Hello Max, I have it written down in this guide. Just go down to the section that says “Workaround for devices upgraded to August 2018 security release”. There are commands which you can use to check your active partition and switch to the inactive one. If the inactive is still on the older bootloader then the unlock file will be accepted and you can finish unlocking the bootloader. If the old bootloader does not exist then you are kinda stuck, unless someone has a July 2018 OTA uploaded to XDA which you can download and flash via recovery > Install update from SD card. My question would be how to check whether the second partition is updated with August Security Patch (may I try to set second one active and simply restart device?) and what may happen if I try to unlock bootloader with August Security patch, I may brick phone or the operation will be just unseccessfull. When you change the slot, your device will ideally downgrade to whatever is installed on the secondary slot. So, most likely you will notice the phone booting into the July security patch after changing the slot. However, some devices will not boot and remain stuck on Nokia/Android logo. Also worth noting is that if the system boots up, an update notification will popup. If you go ahead with this update then both of your slots will be updated with the August release. You can also decide to rely on fastboot commands to see if the software version has downgraded. fastboot oem getversions is the command that will show you the software version as well. So, check the current software version, then switch the slot and reboot to bootloader to check if it now shows the older software version. You can refer to the sample output from my powershell which can be found here. For your latter question, the bootloader will not write the unlock.bin file when you are on August patch. It will call it fail to verify and halt right there. Your phone will stay as is and the operation will be unsuccessful. I do really appreciate your hard work here, could you please tell me how can I downgrade my security patch from August to anything else? My phone is NOKIA 8 and the phone keeps updating itself without my permission such a shame to NOKIA. are you ready for unlocking my nokia 6 now ? Unless you have updated to August security release, yes. If you have update to August, then you need to downgrade or the unlock will not work. now im using dm-verity method by hikary, and use moded fw version TA1021_PLE-558B-0-00WW-B01, it is supported ? last question, after unlocking my bootloader, then updated to agustus or latest version, its remain unlocked or became locked again ? Unlocked will remain unlocked. As per Google, both unlock and lock should require manual action from the user (using the volume/power keys to confirm) and cannot be done automatically. It is just that the bootloader is upgraded in August and it no longer decrypts and writes these unlock files, rendering the unlock impossible. Do remember that you’ll have to bear the 5 second long warning at the time of boot (Device is unlocked and cannot be trusted). Hello :)! This error occurred in the payment method .. “There was an error while trying to send your message, please try again later.” How can I make the payment: /? We currently do not have a credit card gateway to help you out with this. Stripe does not work in India yet. Maybe you will be able to complete a guest checkout after filling the form, by paying using your DC/CC without needing a PayPal account. Do you unlock Nokia 8 Sirocco? No. The Sirocco cannot be unlocked yet. No method discovered for it unfortunately. Hello, you can send the payment via UPI. Please check your email inbox. Mai nokia 7 plus leke phas gya hoon root hi nhee hotaa. I will be in your debt forever. Show me any other way to pay you. hey, it’s been 23 hours now and i still haven’t received my code. Could you please look into it? thanks! Sorry about the delay. I know waiting is a hard task. Probably was lazy this morning cause it is Sunday 🙂 Hoping that everything went fine. Please, can you contact me? I couldn’t use a paypal in my country. Maybe there is another way to pay you? For what? I couldn’t use my card with paypal..
Hey Mike, what other options do we have? Any ideas? Because if PayPal doesn’t accept your card, then it is probably not a card enabled for international transactions. Do you use Qiwi? Qiwi does not operate here, but maybe I can use it to recharge my mobile operator (Vodafone India)? I paid but nobody answered me.I think I wrote the email address incorrectly. I don’t know how check it. What can I do? Is the free givaway already over? I need to unlock bootloader because the phone is stuck in download mode.. Since my nokia 6 is a backup phone, I’ll participate in testing of new features available after bootloader unlock without fear to brick it. I would like a free key for Nokia 8. I wanted to try to increase the device speed, tune interface. I plan to unlock the bootloader to encourage developers and root the phone. This is great for nokia users. This will encourage developers to work on these devices now. I need this key to unlock my Nokia 7! With unlocked bootloader, how do you get back to stock rom? I would like to unlock it! Sorry i didn’t well explained my self…. My first asking was after flashing custom rom, how to get back to stock rom? I follow the process you send to update stock rom on my N7+ locked BL , but it didn’t work, or i was not able to make it work! So i update it by OTA! 1. Stock ROM. It is available at XDA forums. 2. Patched OST LA software. 3. Bootloader unlock with critical unlock. OST should be able to flash your device with ease at this stage. 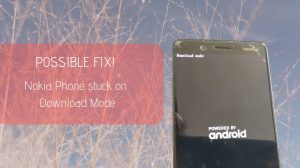 The patched OST cannot flash a phone without critcial unlock because it does not have the permission to flash the bootloader, which is necessary. Hoping this is real – Nokia 6 TA-1021 here! Please give me the key . I have nokia 8. Please let me have a key….I don’t even have a payment method. I am having a Nokia 7 plus. Hi Chris, just started the giveaway which will end on 29th. The entry method is at the end of the post. Since you have already commented, you can enter. you paypal payment option is not working ,what should i do now? You need to fill all the details properly. Else the form will not accept and hence you will not be redirected to PayPal.